This sports tourism is something I could definitely get used to. After travelling to Leverkusen for a game of footy (as well as an impromptu visit to Krefeld for a game of hockey! ), I found myself back in San Sebastián just two weeks after running the half marathon there for a different reason. 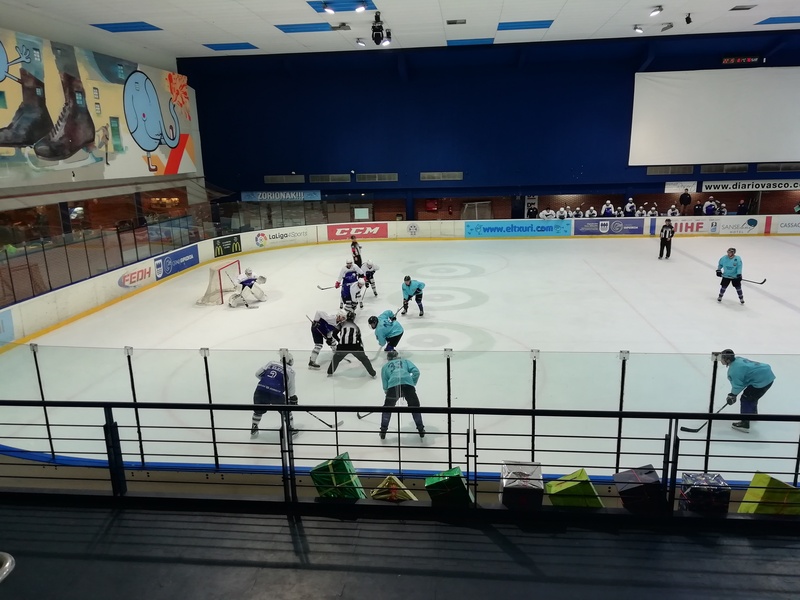 Of all the things Spain is known for, it’s safe to say that ice hockey isn’t one of them. In fact, before moving to the Basque Country I had no idea that such a league even existed here. From what I gather, the league only runs for a few months a year and is made up of only five teams – two of which are in places that I’ve never heard of! 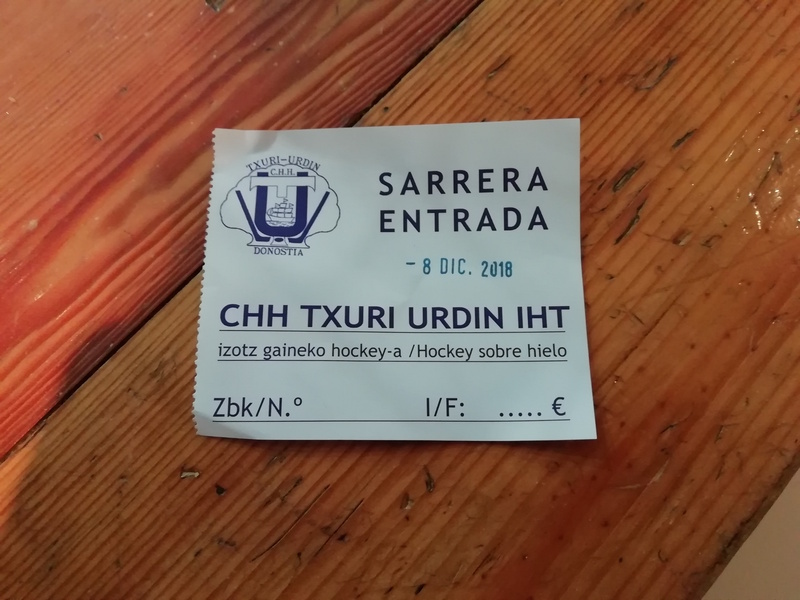 Luckily for me, one of the teams that make up the league is Txuri Urdin: the 11 time champions based in San Sebastián. My housemate Laurence and I decided that it would be a good idea to stop off on the city on the way back from Bayonne for a night, and take in their game against Barcelona to round off the weekend nicely. I love it when a plan comes together. After a day of travelling, drinking and stuffing our face with pintxos we made our way to the Palacio del Hielo (ice palace) next to Anoeta stadium in time for the rather ridiculous face off time of 9.45pm! I know they have a reputation for doing things late here but that really did take the biscuit! Any fears of a sellout were quickly quashed as we turned up and paid our €10 on the door and we were in. 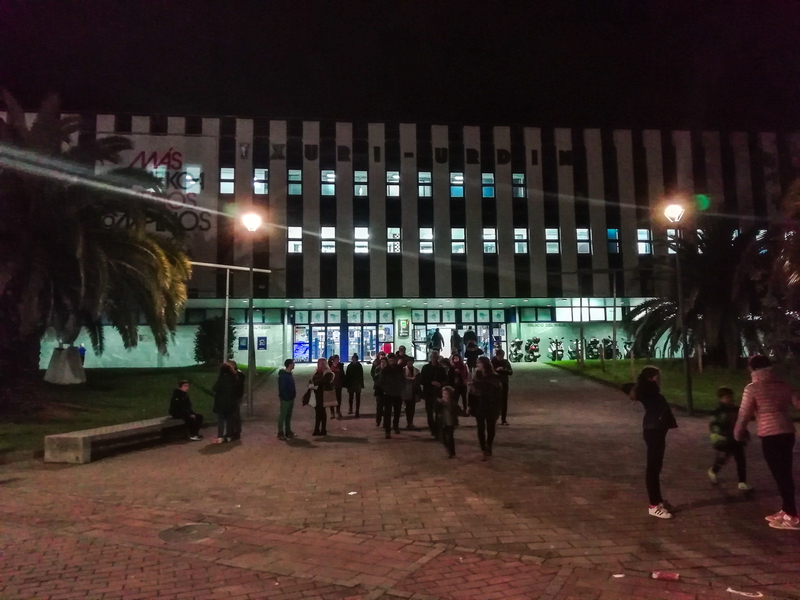 The next fear was whether there’d be beer on sale; it sounds daft but I was shocked to see at San Mames just a few months earlier that it was a dry stadium so I thought it best to check! A bit of a throwback! 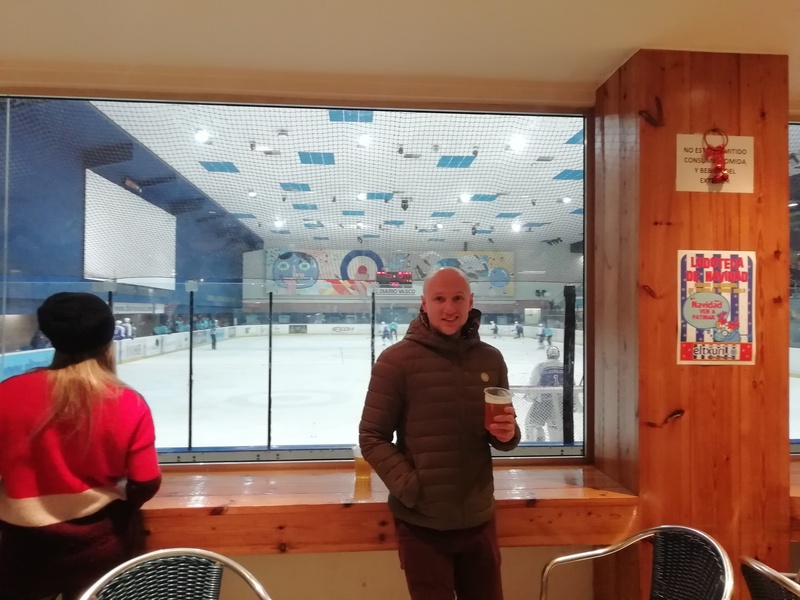 Thankfully the kind lady flogging tickets informed us that there was a bar next to the rink, but all drinks had to be consumed in there. Crisis averted. No prizes for guessing where we headed next. A couple of beers were swiftly ordered along with a sort of cheesy ball of a pintxo and we watched the teams warm up from the comfort of the bar. Laurence opted to wear a Russian national team hockey Jersey he’d picked up from his time in Moscow and did get a few odd looks but it was all good-natured . Certainly nothing like the animosity I faced when I was sat in the wrong seat at a CSKA game a few years ago! Face-off soon rolled around and we took our seats in the only stand. I have to say I was quite surprised at the turnout in that I wasn’t really expecting many, but a quick look on the internet shows there were just short of 400 people there; for reference, the capacity is apparently around the 600 mark. 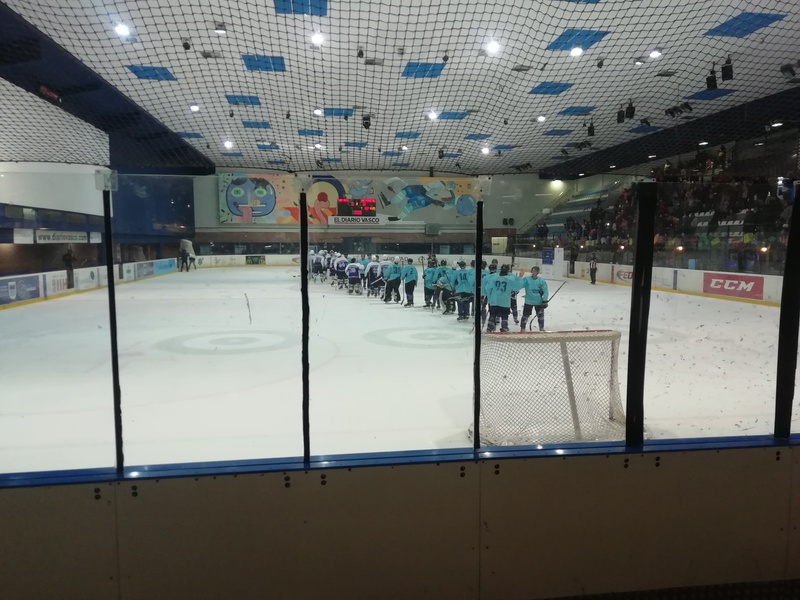 The home team – top of the league by some distance, by the way – took the lead just under four minutes in through Petr Macháček, who is comfortably the league’s leading scorer and would go on to assist a further three goals in this game! It was a sign of things to come as Txuri Urdin finished the first period two goals to the good. During the intermission we decided to take advantage of the bar and actually watched quite a bit of the second period from there too. 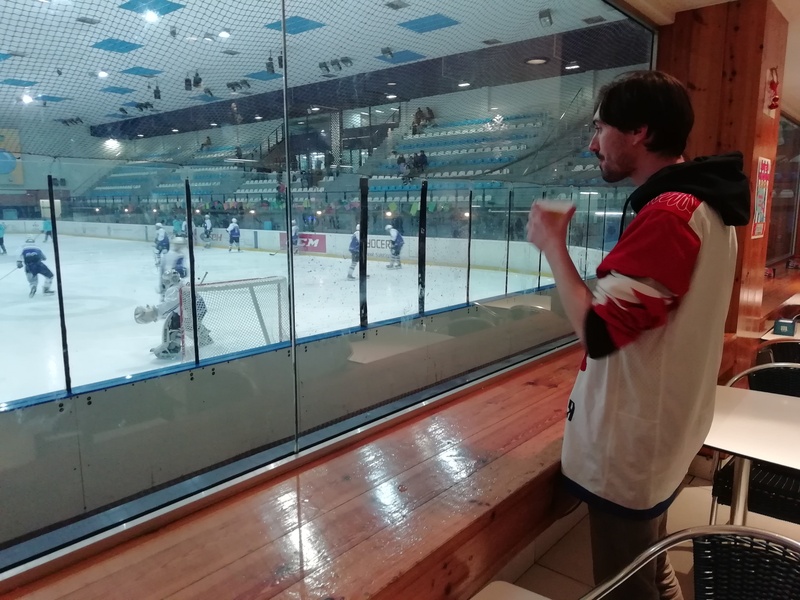 Truth be told it was bloody freezing rinkside and although not as cold as the hockey I watched in Japan, I was starting to wish I’d worn a few extra layers! It was more of the same in the remaining two periods – both in terms of the game and the amount of time we spent in the bar! Seems we weren’t the only ones with this idea! Barcelona huffed and puffed but ultimately the home team had too much for them and ran out 5-0 winners. The scoreline suggests it was all one-way traffic but in all honesty it was somewhat flattering and I think the visitors deserved a goal or two for their efforts. By the time the game finished it was almost midnight – hopefully no one was banking on the last train! It had been a long weekend, so we broke up the fairly sizeable walk back to our accommodation with a couple of nightcaps before retiring for the evening.